Another 5 wins & 24 nominations. This is a masterpiece. Jennifer Fox is a genius. Writing and directing? Amazing. And, apparently, she actually wrote the story at age 13 that this movie is based on. Wow. The directing is so subtle, the mixture of past and present, the interaction of the characters, the woman and her mother. Stellar performances by all. P.S. The subject matter, sexual abuse of a minor, is not everyone's cup of tea. 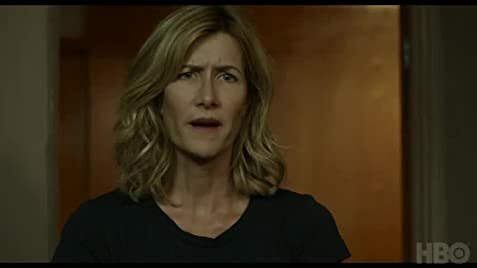 If you're offended by it, or don't think it's important enough to have its own movie, don't watch "The Tale." I wasn't familiar with it until I became a therapist, but now I know it occurs and is a devastating and life-altering experience. This movie handles it fantastically. But if you don't want to see a film about it, don't watch this movie. Jennifer Fox, you are brilliant. Please keep going. Have you got another one of these for us? Jennifer: I was so little! When Jennifer (Laura Dern), a professor, is doing a lecture in front of her class, there is a female student, dressed in a pale orange sweater and blue jeans, with a zebra skin laptop on her lap, sitting about four rows back on Jennifer's left, listening to her speak. Then in the very next shot, that same female student is seen sitting in the very first row, on Jennifer's right.